Finding your dog suddenly paralyzed is frightening. There are many causes, from spinal fractures to tumors, but the most common problem seen is intervertebral disc disease with a high incidence noted in small breed dogs like dachshunds and basset hounds. 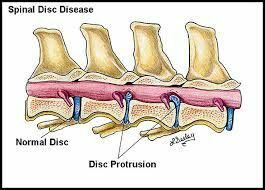 This article will address 2 cases of intervertebral disc disease that resolved successfully with alternative therapy. The standard treatment for disc herniation, infarcts, and degenerative disc disease is steroids, pain management and cage rest or refer the case for surgery. Surgery is costly, has risks and no guarantee the patient will walk again. Most importantly, the underlying causes are not addressed and the patient may suffer another episode. My approach is to fix the underlying condition while utilizing a combination of chiropractic, acupuncture, laser, herbs, essential oils and emotional release. Though there are cases where surgery is warranted, my success rate in returning these patients to 100% normal WITHOUT SURGERY is over 98%. Click the links below to see 2 successful cases. The first case went home walking in under 13 days, the second was walking in 7 days!